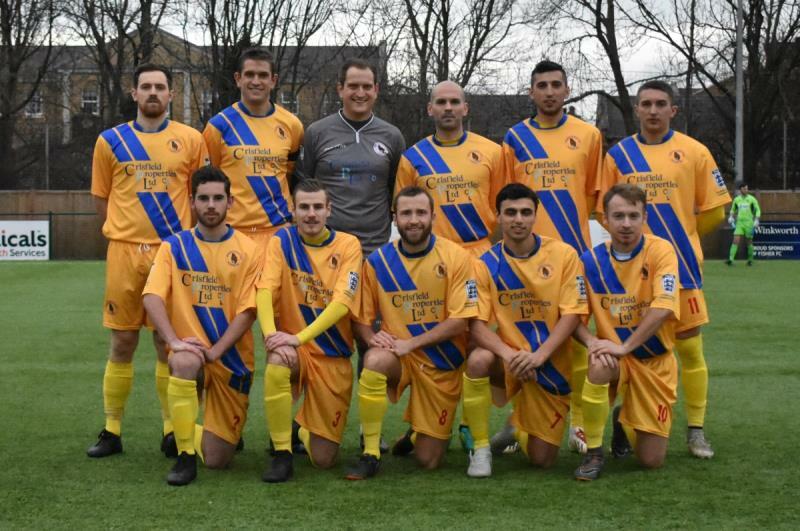 It took a while for Bearsted to adjust their playing style to deal with the slightly alien surface one of which gave an edge to their opponents who from the start sort to apply a more direct attacking philosophy. Indeed it was not long before after that Chandler Kasai was able to run on and to round goalkeeper Scott Andrews only to see his effort to hit the post instead of finding the back of an empty net. It would also be true to say that during this spell other chances came the host’s way, as on certain occasions they were to go close. 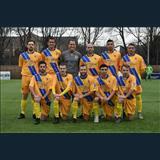 However as the game wore on, so Bearsted were to grow into this match and to provide real problems with a movement and trickery which on numerous occasions brought them very close to scoring. 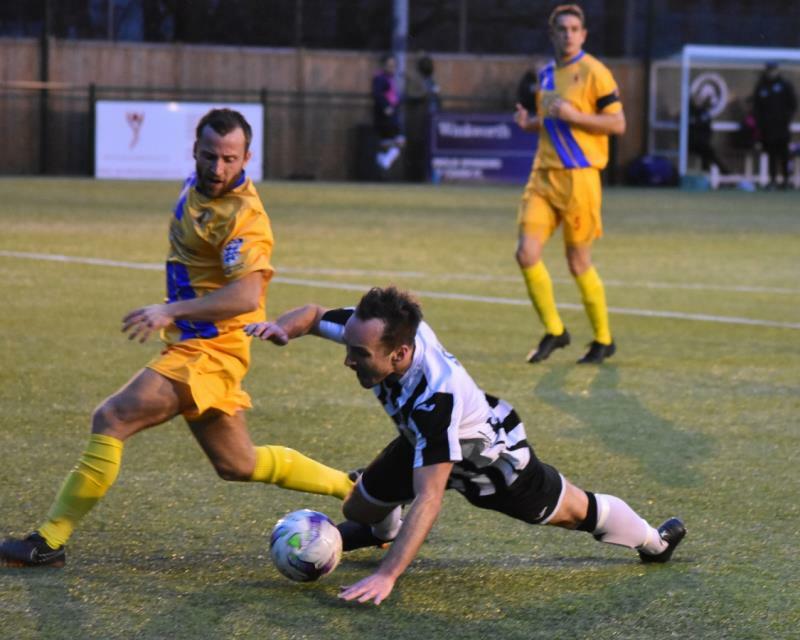 However that act did come after 18 minutes they were to go in front when James Bessey-Sadanha broke free down the left to cross into the box to find David Baranowski to see his first effort parried back and for him to bury the return ball into the net. Now in the ascendency so the visitors now looked the better side and soon after could have gone, when a similar move was this time goalkeeper Dan Wheeler was to come to the rescue. With the half now running down so play did become more balanced during which time it was away keeper Scott Andrews who had to be at his best to prevent Trey Small an equaliser. This though was to come after 45 minutes, when sadly for him, the referee did not exactly bathe himself in glory when awarding a penalty after Tunde Aderonmu chose to go to ground to allow Ritchie Hamill to score from the spot. Following the half time break so saw a period of where the home side become the more forceful one and being able to not only stifle the visitors’ attacks but going close to going front and for Andrews to be a reason why this did not happening. 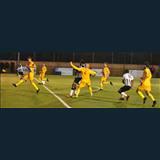 The momentum though was to be seriously affected by the loss of key defender Graeme Andrews whose injury prevented him from carrying on and after 66 minutes and for the score to be increased, when Small was to exploit a Bear’s rearrange back line. For the visitors so the task of winning this game now became more unlikely, when after 88 minutes Fisher were to go further in front when Mathieu Ramsamy picked up the ball on the left to drive on towards goal to eventfully send in a low drive into the net. Incredibly though the party was to be not quite over when 2 minutes later John Rogers was able to exploit a poor clearance to send in a shot, which aided by a deflection, found its’ way into the net and treat the home supporters to an anxious wait up until the final whistle.